Alexa, do I need a virtual assistant in the car? 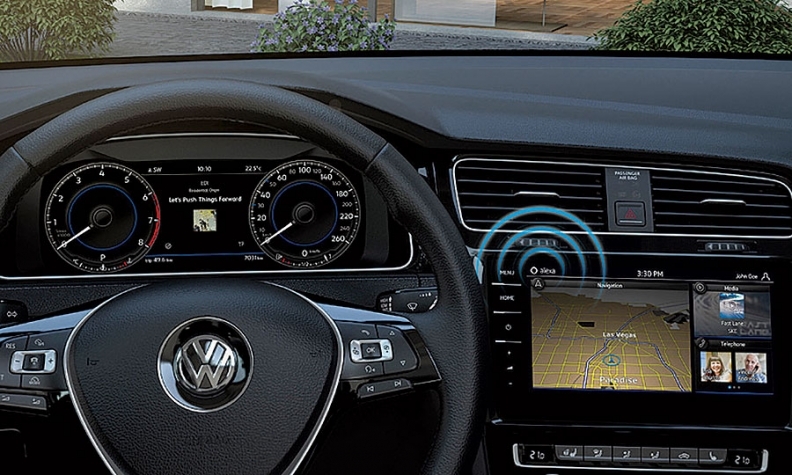 Volkswagen plans to integrate Alexa, Amazon's virtual assistant, in upcoming cars. "The last thing you want is more distraction in your life." In the quest to simplify your car, automakers are probably going to make life more annoying and difficult, at least for a while. At CES in Las Vegas this month, four automakers announced they're inviting speech-activated virtual assistants -- Amazon's Alexa and Microsoft's Cortana -- to become your driving companion. One who might pester you to buy things, tell you you're driving the wrong way or remind you you've left your house unlocked. Mark Boyadjis, an analyst at IHS Automotive, said virtual assistants are going to become a bigger part of our lives. But automakers should be careful about balancing the convenience the assistants bring with their potential distraction. "The last thing you want is more distraction in your life," Boyadjis said, adding that automakers need to employ assistants "intelligently without being annoying." At CES, in-car virtual assistants were the hot new thing. On Wednesday, Jan. 4, Ford Motor Co. announced it was the first to integrate Alexa into its vehicles. The next day, Volkswagen said it would be integrating Amazon's voice-operated virtual assistant into upcoming cars. At the Thursday keynote speech, Nissan Motor Co. said it would offer Microsoft's Cortana assistant in its vehicles. BMW demonstrated Cortana in its vehicles throughout the week. Despite Ford's claim to be first, these announcements aren't entirely new. In October, BMW said it would enable the use of Alexa voice commands in current vehicles, and Hyundai announced a similar venture in November. Though the exact features depend on which car you buy, in general, Amazon Alexa lets drivers play audiobooks, control the navigation and order items from Amazon. If drivers have an Amazon Echo speaker or similar devices in their homes, they can then unlock, lock and start their cars. With Microsoft Cortana, drivers can sync digital tasks usually stored on personal devices, such as appointments and to-do lists, with their vehicle. Automakers say virtual assistants, for now, make life seamless from your home, car and office. But analysts say the technology might be an entry point into a world where driving and shopping can happen at the same time, and where marketers can target drivers as they pass their favorite stores. Though the goal is to make life more convenient, automakers risk annoying drivers if they give marketers too much freedom inside the car. Voice-operated assistants such as Apple's Siri and Google Voice have become commonplace in consumer electronics, but voice controls in vehicles, which are filled with buttons and knobs, are still foreign to most drivers, Boyadjis said. Eventually, virtual assistants will be able to predict and address consumer needs. By using machine learning, the software can recognize each driver's preferences and can do several things -- such as mapping the fastest route somewhere or ordering dinner -- using the cloud. Assistants will also anticipate consumer demands, suggesting discounts or routes to frequently visited locations. All of these assistants are primarily voice operated. Boyadjis said voice-recognition technology will appeal to early adopters, but it may take time for more people to become comfortable with it. Voice-operated assistants will become relatively standard in new vehicles. IHS Markit estimates that by 2022 nearly 90 percent of new cars will have some type of speech-recognition capability, and 75 percent of those cars will also have cloud-based voice control provided by companies such as Microsoft, Amazon and Google. While the tasks virtual assistants can perform are geared toward convenience, consumers so far have demonstrated little interest in them. Drivers ranked services including management of daily activities, car-to-home connectivity and customized entertainment as some of their least preferred advanced automotive technologies, in a global survey by consulting firm Deloitte released on Tuesday, Jan. 17. "Those types of features are, at best, nice to have as long as they work seamlessly, but aren't particularly important to consumers" said Craig Giffi, leader of the U.S. automotive practice at Deloitte and co-author of the report. Giffi said much of the features offered by these assistants are available on smartphones drivers carry with them into the car, making them largely redundant. Consumers surveyed said they preferred and were willing to pay more for active safety and predictive maintenance features. However, Boyadjis said, if deployed correctly, this technology can simplify driving and make drivers' lives easier. "The reality is, this will prove to be beneficial in the long run," he said. "We've overcomplicated the interiors of our cars and we need access in an easier way. What's easier than human speech?"